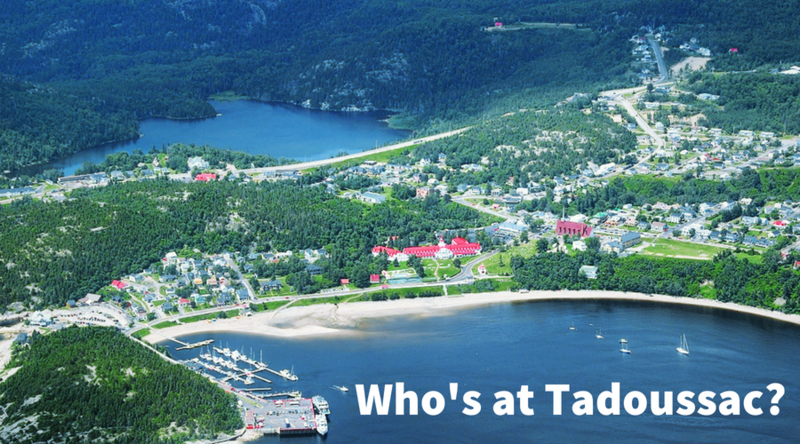 Qui va à Tadoussac? Cliquez ici pour lire l’annonce en français. 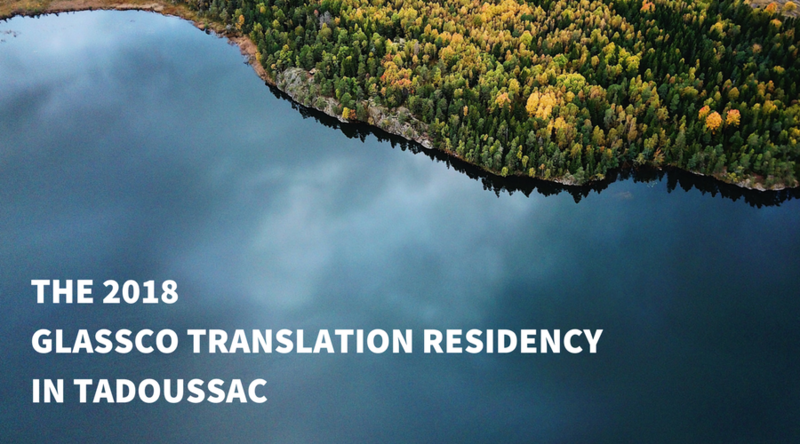 From June 13 to 23, Playwrights’ Workshop Montréal will host the 15th edition of the Glassco Translation Residency, taking place in Tadoussac, Québec. Under the mentorship of award-winning dramaturg Bobby Theodore, playwrights and translators will immerse themselves in an exceptional 10-day retreat, creating new translations of works that will be produced on stages across the country. 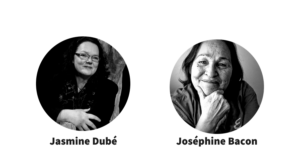 This year, the unique retreat is an opportunity for four Canadian playwrights to work with a translator to translate their theatrical works from French to Innu-aimun, from English to Tamil, from English to French and English to Spanish. Bilal Baig’s play, Acha Bacha (English) will be translated into French by Olivier Sylvestre. Author and translator, Olivier Sylvestre holds a Bachelor’s degree in Criminology and a Diploma in Playwriting from the National Theatre School of Canada. His first play, La beauté du monde (Leméac) won the Gratien Gélinas Prize and was a finalist for the Governor General’s Literary Awards, and was translated into English by Leanna Brodie. His monologue Le désert was premiered in January 2018 at Théâtre Prospero in a production by Le Dôme – creations théâtrales, a company Sylvestre co-leads. His play La loi de la gravité (Éditions Passages(s)) has won numerous awards in Europe and was translated into English by Bobby Theodore. He has translated several plays by Canadian playwrights. Bilal Baig is a queer/genderqueer muslim playwright and actor. His first play, Acha Bacha, had its world premiere at Theatre Passe Muraille in February 2018 in association with Buddies in Bad Times Theatre. His other plays, blue eyes killed him without blinking and Khwaja Sera are currently in development at Factory Theatre and Buddies respectively. Suvendrini Lena’s play The Enchanted Loom will be translated into Tamil by Dushy Gnanapragasam. 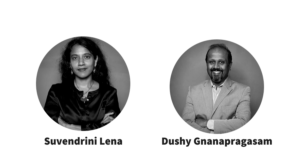 Suvendrini Lena MD, MPH, FRCPC CSCN (EEG) works as staff neurologist at CAMH and as a Neurologist at the Centre for Headache at Women’s College Hospital. She is also a playwright. Her first play, The Enchanted Loom was co-produced by Cahoots Theatre and Factory Theatre in 2016. She is currently an artist in residence at The Theatre Centre and Cahoots. In addition to clinical work in neuropsychiatry and neurology she integrates theatrical practice into her role as a clinical teacher of medical students and residents. Theatre practitioner, writer, translator, Dushy Gnanapragasam received his initiation into theatre at Sri Lanka’s St. Henry’s College. Dushy has been active in the vibrant theatre scene in Toronto for over 20 years. In addition to acting, he has translated and directed plays for Manaveli Performing Arts Group and Aslyum Theatre Group. He has also conducted bilingual theatre workshops in Tamil and English for CanTYD and Manaveli Performing Arts Group. He contributes regularly to the Tamil monthly Thaiveedu as an essayist and serves on its editorial board. He has worked as a translator on a variety of projects including for theatre productions, radio and TV documentaries, interviews for print, and web-based and printed ad campaigns. Jasmine Dubé’s play Marguerite (French) will be translated into Innu-aimun by Joséphine Bacon. Co-founder and Artistic Director of Théâtre Bouches Décousues, actor and director Jasmine Dubé has written some forty theatre books, novels and children’s picturebooks. A television screenwriter, she has collaborated on several shows including Passe-Partout and Macaroni tout garni. In 1996, she was awarded the Arthur-Buies Prize for her body of work. Her company, Théâtre Bouches Décousues, won the 2005 Conseil des arts de Montréal Grand Prize “for its immense contribution to the vitality and development of local theatre”. In 2010, the Jasmine-Dubé Library was inaugurated in Amqui and in 2012, Dubé was awarded the Raymond-Plante Prize for her outstanding commitment to children’s literature. Joséphine Bacon is an Innu poet from Pessamit born in 1947. As a director and lyricist, she is considered one of Quebec’s leading authors. She has worked as a translator and as an interpreter with elders, the keepers of traditional knowledge, and wisely learned to listen to their words. She wrote her first collection Bâtons à message/Tshissinuashitakana (2009) with these nomadic nature enthusiasts in mind, and was awarded the Prix des lecteurs at the Marché de la poésie in Montréal in 2010 for her poem Dessine-moi l’arbre. In collaboration with José Acquelin, she published Nous sommes tous des sauvages (2011) followed by Un thé dans la toundra/Nipishapui nete mushuat (Finalist for the Governor General’s Award and Finalist for the Grand Prix du livre de Montréal) in 2013. She has also translated various works from Innu-aimun into French. Alexis Martin will translate the play Art Object (English) by Michael Mackenzieinto French. Also by Michael Mackenzie, Instructions for a Socialist Government Looking to Abolish Christmas (English) will be translated in Spanish by Jaime Arrambide. Actor, director, author and screenwriter Alexis Martin has worked in the Quebec arts sector for over 25 years. Since his debut, he has performed nearly forty roles on Montreal stages. He has also been Co-Artistic Director of Nouveau Théâtre Expérimental since 1999, where he experiments in writing, acting and directing. Alexis Martin is also part of the Quebec television scene, playing several roles on television, notably in Toute la vérité, Vice caché, Les Boys, Apparences, Les beaux malaises, Les Parent, Séquelle and Marche à l’ombre. He won the Gémeaux Award for Best Lead Dramatic Role in 2012 for his performance of Gaétan in Apparences. Michael Mackenzie’s plays have been variously translated and produced in French, German, Italian, Catalan, Portuguese, Czech and Hungarian. Recent and upcoming productions include the National Arts Centre (Ottawa, in French, 2016), Barcelona (2017) and Faro (Portugal, 2019). In 2017 two of his translations/adaptations of French work played at the Segal Theatre (for Just for Laughs) and the Centaur Theatre (for Talisman Theatre). He has worked as a collaborator/dramaturge on a number of productions with Robert Lepage and Cirque de Soleil, including Ka (MGM, Las Vegas, ongoing). He has written and directed two feature films The Baroness and the Pig (2002) and Adam’s Wall (co-writer) which variously went to festivals TIFF, Sundance, Skip Tokyo, Copenhagen, Lisbon, etc., as well as being theatrically released. Poet, playwright and literary translator Jaime Arrambide has dedicated himself to theatre translation for the past fifteen years. He is notably behind the Spanish translations for some twenty French and English theatre authors (Laurent Gaudé, Jean-Luc Lagarce, Sarah Kane, Martin Crimp and Bernard-Marie Koltès, just to name a few). 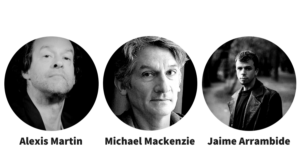 Invited to Quebec for an artist residency with Olivier Choinière and Sébastien Harrisson in 2010, he also co-hosted the International Translation Seminar organized by the Centre des auteurs dramatiques the following year. His significant body of work with the French theatre community (residencies at the Centre National des Écritures du Spectacle in La Chartreuse en Avignon; translator and member of Maison Antoine Vitez) demonstrate his keen knowledge of contemporary European dramaturgy. The Glassco Translation Residency in Tadoussac would not be possible without the dedication of our supporters: Residency Producer Briony Glassco, the friends and family of Bill Glassco, and the Cole Foundation. The chosen participants are provided with a unique opportunity to focus on their projects and to share expertise in a retreat environment. Translations into all languages are welcomed. Over the past 10 years we have supported translation projects into Cree, French, English, Spanish, Catalan, Cantonese, and Italian. Award-winning translator and playwright, Bobby Theodore, will serve as residency host and translation dramaturg. The Glassco Translation Residency in Tadoussac would not be possible without the dedication of our supporters: Honorary Chairperson Briony Glassco, the friends and family of Bill Glassco, and the Cole Foundation. We are also grateful to Canada Council for the Arts, the Conseil des arts et des lettres du Québec, and the Conseil des arts de Montréal for their ongoing support. 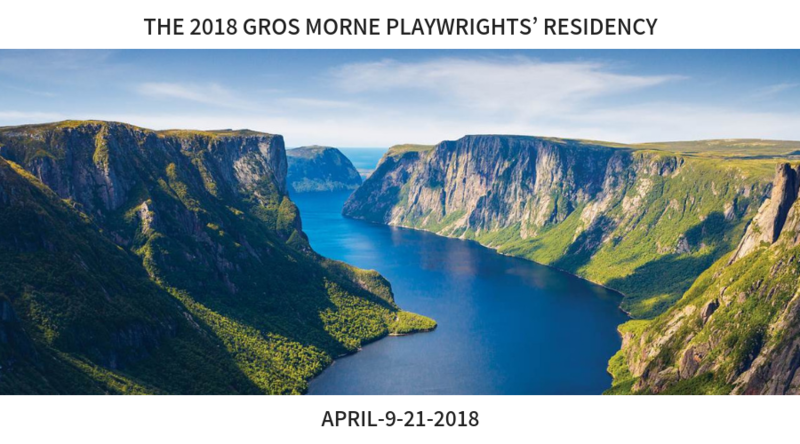 Unique in Canada, the Gros Morne Playwrights’ Residency will invite 7 playwrights from across Canada to participate in a 12-day playwriting retreat in Norris Point, Newfoundland. It will be headed by two National New Play Development Centres: Playwrights’ Workshop Montreal and le Centre des auteurs dramatiques (CEAD). These two institutions have been developing new plays for over 50 years and organizing residencies for over twenty years. 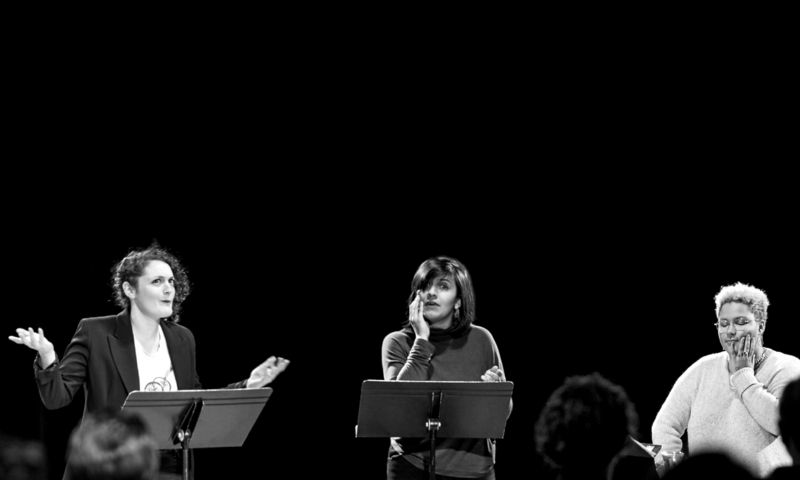 This partnership makes it possible to welcome playwrights in a dual-lingual setting. English language playwrights are asked to apply through PWM and French language playwrights through the CEAD. 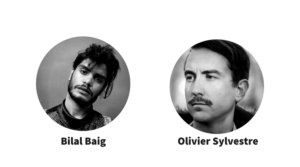 Three artists will be selected from English language submissions, three from French language submissions. We are reserving the seventh selection for submissions from Newfoundland and Labrador. The seven selected playwrights will spend 12 days in April at the Bonne Bay Marine Station, writing, dreaming, sharing and creating exciting new plays for the Canadian and International stage. This residency will create lasting links between theatre artists from across the country and generate discussion around the work being created in Canada. The residency will be hosted by Emma Tibaldo, Artistic Director of PWM and a Dramaturg from the CEAD, to be named in late January. 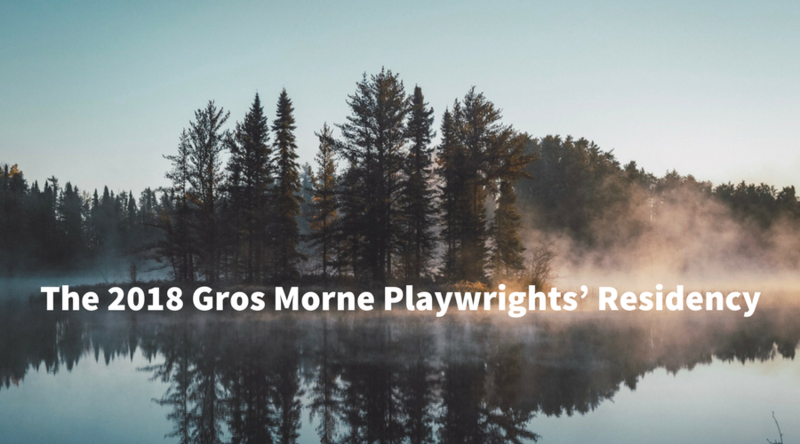 The Gros Morne Playwrights’ Residency will include transportation, accommodations, meals, an honorarium and dramaturgical support. Travel to Deer Lake and departure for home. Incomplete submissions will not be considered. Selection will be made by a committee set up by PWM and CEAD. We will only notify the selected applicants. This will be done on Monday, March 5, 2018. For more information please contact Emma Tibaldo at emma@playwrights.ca.